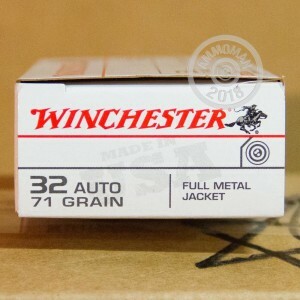 Winchester "white box" ammunition is a superb choice for target practice due to its reliability and low cost. 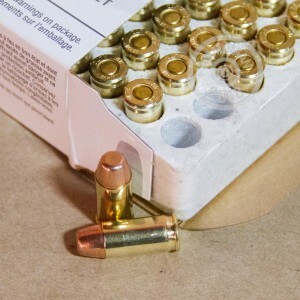 These .32 ACP cartridges fire a heavy 71 grain full metal jacket bullet at a muzzle velocity of 905 feet per second and can help you develop proficiency with your carry pistol at a reasonable price. 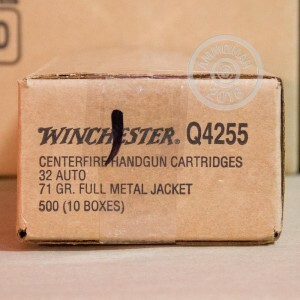 This ammunition is manufactured using non-corrosive Boxer primers and brass cases at Winchester's newest production facility in Oxford, Mississippi. The Oxford plant is one of the newest in the country and began assembling ammo in 2011 before it was fully completed. Place an order at AmmoMan.com for $99 or more and enjoy free shipping direct to your doorstep!